On Saturday, September 25 (Manila time), Kevin Garnett of the Minnesota Timberwolves announced that he has decided to hang it all up. After 21 years of grinding it out in the big league, the man known as The Big Ticket finally followed the footsteps of fellow future Hall of Famers Kobe Bryant and Tim Duncan, who also both retired this year. And just like every basketball superstar to reach his twilight, Garnett gets a highlight reel to celebrate his colorful NBA career. 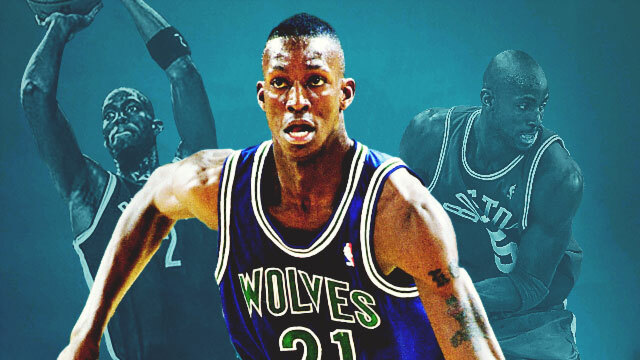 Hopes were understandably high for Minnesota's first pick at the 1995 NBA Draft. The lanky 19-year-old was expected to carry a franchise that, at that point, hasn't been able to compete. Garnett's inclusion to the All-Rookie Second Team was proof that he belonged with the big boys and a preview of things to come. After a series of frustrating runs, the stars seemed to have aligned for the embattled superstar. Garnett was involved in the biggest trade during the summer of 2007; he was dealt to the Boston Celtics to team up with franchise players Paul Pierce and another star acquisition in Ray Allen. All in their primes, this version of the Big Three fittingly secured a championship in their first year together, also the first for the three of them. Garnett led the way in Game 6 of the NBA Finals with 26 points and 14 rebounds. Every time he stepped onto the court, Garnett embodied ferocity in his approach and passion to the game on an entirely different level. One could even say that his name has become synonymous with intensity. Basketball fans both loved and hated the man for always giving his 110 percent on the court. There's a reason The Big Ticket was such a huge draw, especially in his heyday. He had a knack for highlight plays—not that he was trying, but because this was the only way he knew how to play, and that is with an incomparable zeal for the game. While Michael Jordan is also known to be the greatest smack talker in league history, Garnett more than held his own in the department. Just ask Carmelo Anthony, Charlie Villanueva, and even Tim Duncan. He knew how to throw the opposition off its game, whether its physical or mental. You might've seen it recently with LeBron James and Tristan Thompson, but KG is actually the pioneer of the after-whistle block. Even in his final year, Garnett didn't fail to mesmerize fans with one last huge play. His decision to return to Minnesota couldn't have been more sound. Shifting to a mentor role was what we exactly imagined him to be doing at the tail end of his illustrious career. Despite the significant drop in production, the move could end up benefitting the promising Wolves, especially a dude named Karl Anthony Towns. But most importantly, Garnett was able to give back to the city that gave him a chance to be great.